It didn’t take long for Dylan to get his Wisconsin turkey tag filled on the first Saturday of the first season. He set up on a group of Toms and within a half an hour, had one come running into the decoy. 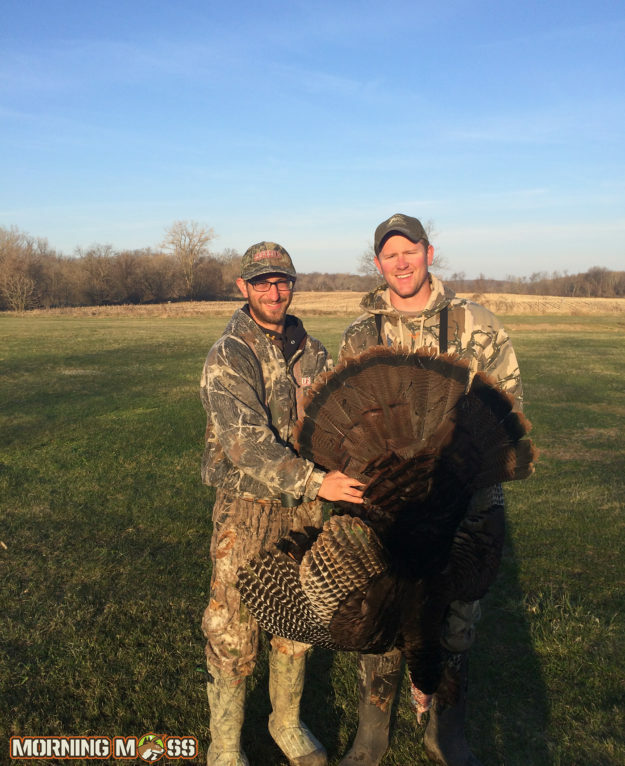 The tom weighed 25 pounds, had a 9 inch beard and one inch spurs. Dylan’s hunt included his friend Nick who got to enjoy it with him as well. Nick called the bird in and Dylan put it down right away. Be sure to send in your turkey hunting photos!